At what point does my account get past moderation before showing up? (10-26-2018, 04:31 PM)Makael Wrote: At what point does my account get past moderation before showing up? You should be there now - your next post should show up automatically. If something goes wrong let me know and I'll check it out. 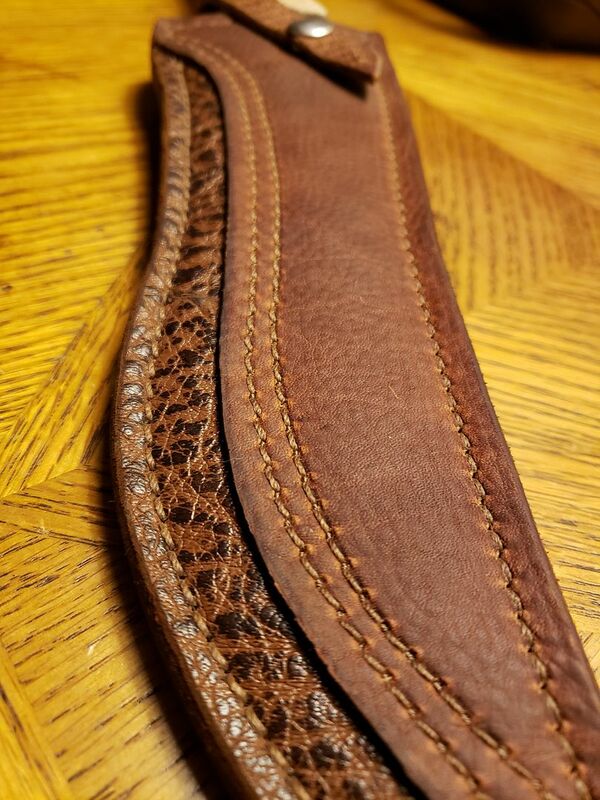 (10-26-2018, 02:55 AM)Makael Wrote: Yes I make the sheaths. Pure hobby but I enjoy it. wow, its spectacular, I like the mottled look of the leather on the blade side! I dont know anything about leather working, but I am very interested in learning...is that hand stitched or machine? It looks good work Makael.